Anterior cervical discectomy is one method of removing herniated or degenerated intervertebral tissue through an incision placed in the front or side of the neck. The anterior approach to surgical disc removal has revolutionized the neck pain treatment sector and has spared patients many of the complications of posterior approach procedures. Anterior is an anatomical term that denotes the front of the body. Therefore, the anterior discectomy technique accesses the spine through an incision placed on the frontal-side surface of the neck, rather than from the traditional incision location on the back of the neck. Although anterior discectomy represents a huge leap forward in many ways, the procedure is still far from perfect. Since this is one of the most commonly performed cervical spinal surgeries, we provide this patient guide in order to compare the positive and negative aspects of cervical disc removal performed using a frontally-placed incision. Anterior discectomies are performed using strategically-placed incisions in the frontal-side surface of the neck, at the appropriate spinal level. The muscular, neurological and vascular tissues in the area are extremely vital and sensitive, and therefore must be treated with extreme care. These anatomical structures are carefully moved out of the way so that the surgeon can visualize the spine from the anterior approach. The size of the incision and the degree of tissue displacement depends greatly on the exact scope of the operation and the techniques utilized. Endoscopic practices will allow smaller incisions and less tissue displacement than open techniques. Most modern uses of anterior discectomy will employ the least invasive methods possible, thereby doing the least degree of collateral trauma to healthy tissues while accessing the cervical spinal column. Once the surgeon can access the vertebral column, part or all of the target disc is removed. The amount of disc material excised will depend greatly on the diagnosis, the exact scope of the procedure and other case-specific circumstances, as well as what the surgeon actually witnesses once they visualize the spine during the operation. In cases of some prolapsed discs, only part of the herniated portion of the disc might be removed, sparing the operated level from further surgical intervention and preserving the natural design of the spine. In virtually all cases of degenerated discs, and in many instances of intervertebral herniation and rupture, the entire disc will be removed, necessitating further procedural steps to repair the defect now created in the spinal anatomy. The final reparative steps in the surgical endeavor might consist of nonorganic disc replacement, spinal fusion using traditional bone-graft method or spinal fusion using an implant or hardware-based approach. Once the spine is deemed to be healthy and stable, the interior muscular, circulatory and neurological tissues will be allowed to return to their normal positions and the incision will be closed. Compared to traditional dorsally-placed discectomy incisions, the anterior approach has a major advantage in that it does not damage the extensive network of muscular tissues that reside in the rear of the neck anatomy. In the traditional posterior incision approach, these muscles must be dissected away to visualize the spine, creating the ideal circumstances for a very long and painful recuperation period, often involving extensive physical therapy. Being that muscular dissection is well known to cause many lasting deficits in strength, as well as the possibility for a diversity of postoperative complications, the use of the anterior approach to avoid damaging these muscles is regarded as a superior surgical technique in all virtually cases where it is indicated. The anterior approach to discectomy also allows for smaller incisions to be used, reducing scarring that will remain long after the trauma from the surgery has fully healed. The anterior approach to cervical disc removal is certainly not flawless. It does demonstrate some downside compared to traditional rear incision placement discectomy, as well as many negative connotations when evaluated as an independent therapy option for the diagnosed conditions most often treated. When contrasted against the posterior discectomy technique, the main potential downside of anterior discectomy is the inherent interaction with some of the most sensitive nerves, circulatory vessels and other tissues within the body. In order to access the spine from the anterior plane, the surgeon will have to very gently move some of the structures aside and restrain them during the operation. While this step usually does not present any problems, the possibility for dire complications exists. If a nerve or circulatory tissue is damaged during the displacement, restraint or release stages of the disc removal procedure, the consequences might be severe. However, when evaluated unto itself as a treatment for most disc pathologies, discectomy in all forms generally comes up short and is not proven to provide any benefits compared to nonsurgical treatment or even a complete lack of treatment. 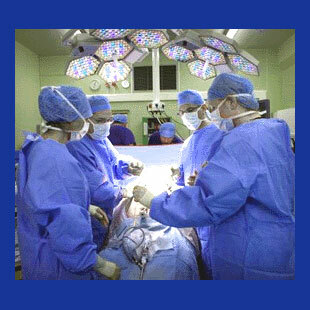 Discectomy is known to fail more than any other spinal operation in terms of providing a lasting cure. Typical reasons for this to occur include the epidemic incidence of mistaken diagnosis, the frequent occurrence of re-herniation at the operated level or the common scenario of pain migrating to a neighboring spinal level. Removing part of a spinal disc is generally considered a better option than removing the entire intervertebral structure. Although this option allows for the possibility for re-herniation in the future, it eliminates the need for disc replacement or the more common path of spinal fusion. Artificial disc replacement is less often performed than spondylodesis, but is thought to be superior by objective observers, since it retains the functional design of each individual vertebral level. The disc replacement option also prevents the escalated regional degeneration inherently associated with the fusion path to treatment. Patients who do undergo anterior discectomy and fusion may require multiple incisions to be utilized, depending on the nature of their diagnosed disc problem and the procedural-specific elements involved. 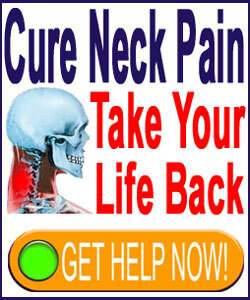 Obviously, more incisions in the frontal face of the neck multiplies the risks, so this must be taken into careful consideration by doctor and patient alike. A major negative variable in the anterior neck discectomy technique is the simple fact that the procedure performed may not be what is agreed upon and planned for prior to surgery. Virtually all surgeons reserve the right to change the planned operation once they visualize the spine and can therefore determine the best path of care, based on their professional opinion. This preoperative clause must be signed off by the patient in order to undergo the operation and often results in unwanted and unneeded spinal fusions in a large percentage of the patient population. We can not begin to tell you the fear and disappointment expressed in the countless letters we receive from post-surgical disc removal patients who never planned for spinal fusion, but ended up with multiple levels of fused vertebral bones due to the sometimes highly speculative whim, or financial motivations, of their doctor.